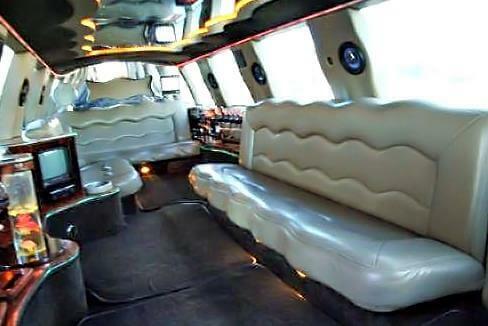 Compare pricing for party buses, limo service in South Bend, IN, transportation and limo rentals near South Bend. Price4Limo has over 12,000 vehicles in our inventory with photos and prices for you to choose for your transportation needs. Getting a free quote takes less than 30 seconds and no email is required! Need to book a discounted limo service in South Bend, IN for a Night on the town or corporate transportation? If you & your friends want the best selection of South Bend limousines for hire near you, Price 4 Limo is the supreme resource. Our website has a large fleet of limos, SUVS, and sprinters for most important occasions! Our inventory includes vintage vehicles. With limo service South Bend you and your family will most likely have a great time while driving through the city. Are you traveling with a massive group? We have the perfect ride for groups with 15, 18, 30, 45, and 65 passengers. Our limo rental hires are suited for airport pick ups and drop offs. 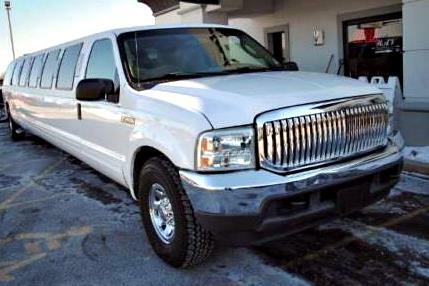 Limo service South Bend costs are reasonable and our rides can be easily hired online. Every limo has a professional chauffeur to transport you throughout South Bend. South Bend Indiana Limousine Rental is your premier provider of affordable limo rentals for the entire area of South Bend, as well as neighboring town and suburbs like Bremen, Mishawaka, Wyatt, Tyner, Osceola, Nappanee, Granger, Lakeville, Edwardsburg, North Liberty, Mill Creek, Walkerton, New Castle, and Notre Dame. We've built our reputation on outstanding customer car, amazingly low limo prices and the finest limousine service available. Whether it's a stretch limo to impress a client with airport pickup for business dinner at Carriage House Dining Room, or you're looking for a way to enjoy the Fighting Irish game with all your friends, we've got the wheels for you. In the northernmost part of Indiana is the city of South Bend, just five miles from the Michigan border. The St. Joseph County city is also in close proximity to Chicago, only about an hour and a half by car, and it is surrounded by Benton Harbor, Fort Wayne, Gary and Elkhart. Home of the University of Notre Dame, approximately 10% of the money circulated in the area is a result of this college. Other institutions include Ivy Tech Community College of Indiana North Central, Indiana Christian University, Indiana University South Bend, Holy Cross College of Indiana and Saint Mary's College. With so much youthful energy and emphasis on culture and higher learning, South Bend is a vibrant city. The South Bend Regional Museum of Art is located downtown in the Century Center in an 11-acre waterfront park. The Morris Performing Arts Center houses the Broadway Theater League and the South Bend Symphony Orchestra. And there are numerous other museums and historical sites. The Health Works Kids' Museum and Potawatomi Zoo are great destinations for field trips; and the Tippecanoe Place Museum and South Bend Conservatory are wonderful places to explore. Meanwhile, sports fans have a lot to cheer about - the University of Notre Dame's Fighting Irish are famous for their football and basketball teams, resulting in the College Football Hall of Fame being relocated from Ohio to South Bend in 1995. Click or call to get the best limo quotes for 46601, 46624, 46699 or any other nearby address. 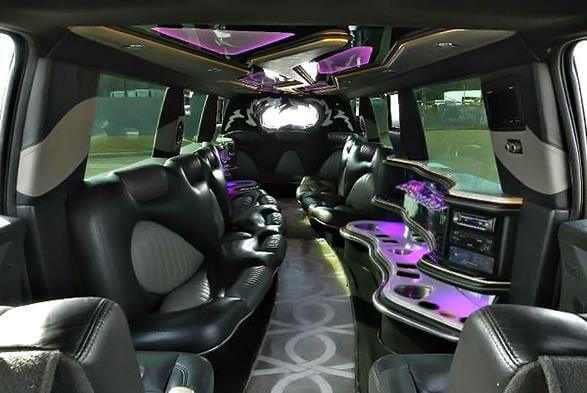 South Bend Indiana Limo has a fleet of vehicles in a range of sizes, models and custom looks, so you're sure to find the limo hire that best serves your occasion. We'll send an elegant Lincoln Stretch to take you to the Morris Performing Arts Center to celebrate a special birthday or anniversary. Then you can enjoy cocktails as you relax on your way to dinner at Sorin's Restaurant or dancing at Club 23. The Chrysler 300 Stretch from South Ben IN Limos is another beautiful model, and we offer several of our vehicles in white for wedding transportation, bachelorette parties and other occasions. Graduations, proms, birthdays and so many events are more memorable when you arrive in luxury and style. 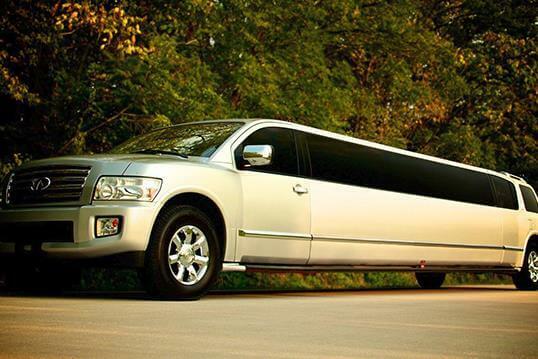 For larger parties, the Range Rover or Escalade is a great choice, and South Bend IN Limo Rentals offers a variety of these amazing supersized rentals. You can take all your friends to explore the night scene, with a concert at Golden Gnome, dancing at Club Fever and drinks at Mulligan's Bar & Grill. Check out the scene at Club Lasalle and grab at bite at Linebacker Lounge.